Photographed at Maasai Mara, Rift Valley, Kenya, 21 October 2016. 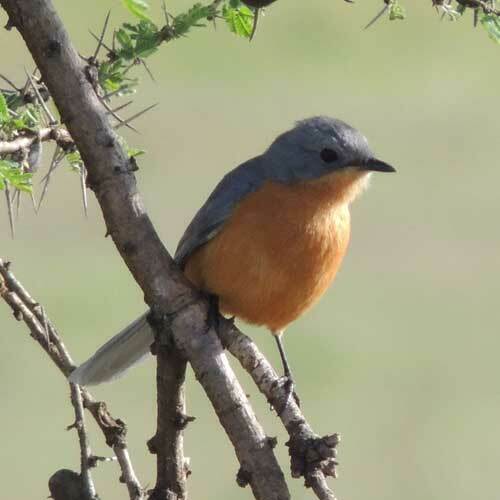 The silverbird is a stunning flycatcher of open areas west of the Rift Valley, silvery grey above and tawny orange below. Juveniles have black-bordered tawny spots on upperparts, mottled buff and black on throats and breasts. The species is 18 cm long and weighs 22–23 g.
Copyright Michael J. Plagens, page created 22 June 2017.